A company in which San Diego-based Sempra Energy is the majority owner announced Thursday it has received approval to build a natural gas export facility in Louisiana. 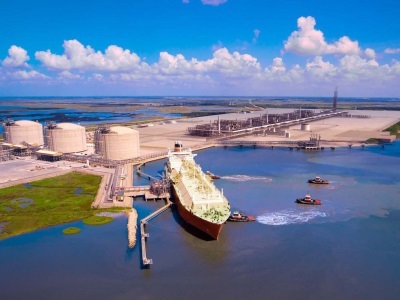 Cameron LNG was authorized by the Federal Energy Regulatory Commission to build and operate the $10 billion plant, which will convert natural gas into its liquid form for export. LNG stands for liquefied natural gas. The FERC permit was one of the last major regulatory before construction can start at the site in Hackberry, La., according to Sempra. The FERC approval also allows the firm to construct a 21-mile, 42-inch natural gas pipeline expansion of the Cameron Interstate Pipeline, a new compressor station and associated equipment that will move the natural gas. The project still requires final decisions by investors to proceed, finalization of other permits, and financing, according to Sempra, which would hold a 50.2 percent interest in Cameron LNG. The French utility company GDF Suez S.A., Mitsubishi Corp. and Mitsui Co. also hold stakes. Earlier this year, Cameron LNG was awarded conditional approval from the U.S. Department of Energy to export liquefied natural gas to various countries, including Japan and European nations. New production techniques such as hydraulic fracking have produced of surplus of natural gas in the United States, making it attractive for companies to build facilities to serve export markets.